The Who have confirmed they will play 1969 album Tommy in full on their 2017 UK tour. After postponing five UK dates this year, The Who rescheduled them for April and have now revealed they’ll perform Tommy live in its entirety for the first time since 1989. The Tommy element of the shows will include a new video segment produced specially for these gigs. Tickets for the UK shows are available now via AXS. 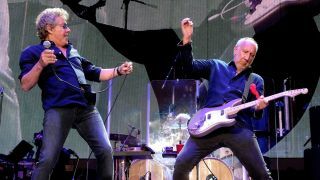 As well as Tommy, Pete Townshend and Roger Daltrey’s band will play a set of their greatest hits and some lesser known tracks. The Tommy & More dates follow two shows at London’s Royal Albert Hall on March 30 and April 1, at which they will also play Tommy in full. He said: “The sadness for me is that rock has reached a dead end. The only people saying things that matter are the rappers and most pop is meaningless and forgettable.